What an amazing 'God given' salmon river infrastructure Scotland is fortunate to have and how easy a task it would be to make our proud nation the global number 1 choice for the entire world's salmon fishing population within the next 60 months. If you're one of these guys involved in management of these fantastic natural riverine assets and have gone off on the time wasting cash strapping 'scientific research' routes to come up with nothing the same as the US's Russian collusion nonsense the US taxpayers have been burdened with then best you don't read on as it may make you feel you've done the nation an injustice. The reality is you haven't as all successes are created from failure so although you could be embarrassed I'd personally shake your hand and buy you a large quality malt for proving beyond doubt that the current Scottish wild salmon management model 100% does not work. The current Scottish salmon stock state of play over the last 40 years has significantly changed for all Scottish salmon river stock positions. 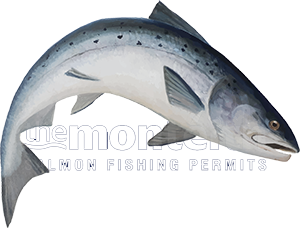 From my own personal points of view I love it as only through failure to protect the once colossal head of wild Atlantic salmon to today's smaller often unpredictable runs is effective stock management change ever going to happen. Running a team of expert professional salmon guides our business has doubled in the last few years as more and more anglers understand the need for a guide to teach the required fishing skills if the true objective of catching salmon is to be achieved and that a salmon permit on its own just isn't enough these days. While there definitely are a few 'true' top guns in Scottish salmon fishing management from what I've personally witnessed there's generally no cohesion and way too many useless opinions that block & stifle solid common sense backed initiatives. To get a fishery board to agree or even support an initiative could seriously drain the vital 'life energy' required to get any worthwhile initiative off the runway! That has been my own personal experience and I'll never fall for that approach again. There's an old analogy I love and it simply says lead, follow or get out of the way! If you're one of these scientific chaps who needs to squander £100k plus on attempts at working out the Atlantic Ocean which has been altering since the last ice age then you've already cost Scotland £100's of millions of pounds in lost national revenue by these distraction tactics. With anything in life 'common sense' will tell you you've got to work with what you've got and focus in on the things you can truly influence and leave well alone the things you cannot. It's human nature to look the other way as that's the easy route. Taking problems head on with a conscientious heart is the only true way to deal with anything in life! Nature is an amazing thing and numbers play a big part of the success of any species. Look at the amazing potential of wild smolt ranching to get an idea of the massive advantage taking a salmon from the wild and incubating her fertilised eggs then feeding on the offspring in outdoor ponds with no human being or predators in site. In the wild that hen fish's 5000 eggs would produce approx 50 smolts. If that same fish's 5000 eggs were assisted via stripping, hatching and controlled yet 'natural' outside pond ranching the same smolt output from that same hen salmon would be approx 4500! There you have the sheer numbers advantage to negate any falsehoods that these fish wouldn't do as well as the 100% wild equivalent as common sense would advise you're going to get a better adult return! Sure there would be a 'baseless' argument about swamping a salmon river with too many 'wild' ranched smolts so if that hurdle cannot be overcome simply keep them back until they're ready to go to sea which means they're going to be in the estuary very quickly therefore not competing with other wild fish. Not that there's anywhere close to the capacity of juvenile salmon in any Scottish river system as if that were truly the case then where are the huge black shoals of fry in the margins of the Tay that you used to frequently see in the 60's & 70's! On the Tay the electro juvenile surveys 'ironically' are often conducted in areas where hatchery fry had been planted out so that was never going to produce accurate 'wild' spawned juvenile survey results. The 'biodiversity' benefit of more juvenile salmon to feed the saw billed ducks, brown trout, seals and all other predators should be fully understood too so in general all forms of wild life benefit from big juvenile salmon numbers and even protected fresh water pearl mussels and lamprey which require salmonoid assistance to repopulate! I do believe that genetic integrity has some importance as to keeping salmon to the river of their birth should be maintained but the reality of this concept is where's the genetic integrity of the Eurasian beavers that have been 'reintroduced' into Scotland over the last few years that are now thriving so well and is there such a thing as a 'true' Brit or Scot these days! To my mind evolution requires the cross splicing of genes so what's the big fuss about with salmon. Scottish salmon have been caught in Norwegian salmon rivers before so although we know they usually home into the scent or magnetic bearing of the river of their birth there are already 'natural' exceptions. I recall my late grandfather hooking and being broken by a salmon on the River Kinglass near Cairndow on Loch Fyne for him to get his salmon fly back when his colleague caught the same salmon a few days later in Ballingal's Pool on the River Fyne! If Scotland's wild Atlantic salmon resource is to be taken seriously for the entire benefit of the nation then wild smolt ranching needs to be immediately implemented and completely mastered. I can already visualise hundreds of wild smolt ranching facilities throughout the various Scottish river catchments producing millions of wild smolts with the very sharpest salmon stock enhancement minds in 'overwatch' and fine tuning 'holistic' ranching techniques so as not to interfere too much but to give Mother Nature a much deserved helping hand. The bi-product of this now 'inevitable' course of action will quickly transform Scotland's wild salmon fishing asset from a £100 million pound industry to £1 billion status and bring tears to the eyes of thousands of dedicated & passionate salmon men who've been brought back from the brink of total despair in thinking the game was over! The most exciting football matches are often won by an unexpected and 'spectacular' late goal!